Nigerians have reacted to the statement made by President Trump referring to President Buhari as “lifeless” which was published in the Financial Times. According to the Financial Times, the meeting between both presidents which took place in April ended with the U.S. President telling aides that he never wanted to meet someone as ‘lifeless’ as the Nigerian President again. President Buhari has however responded that he’s fit and capable to run for office next year and rule the country for another four years. Speaking through Buhari Media Organisation (BMO), he said he will not be distracted by Trump’s remarks, but will remain focused to deliver on his promises to Nigerians. Chairman of BMO, Niyi Akinsiju and Secretary, Cassidy Maduekwe described the comment as disrespectful. Nevertheless, whether Trump made the comment or not, Buhari would continue to remain focused to deliver on his promises to Nigerians. Opposition party, the Peoples Democratic Party (PDP) said Buhari and his handlers have opened up the nation to international ridicule. Former President Goodluck Jonathan’s aide, Reno Omokri also took to Twitter saying: “If the leader of the free world can’t stand @MBuhari and believes that he is ‘lifeless’, can Nigeria expect any cooperation from the West with Buhari in charge? 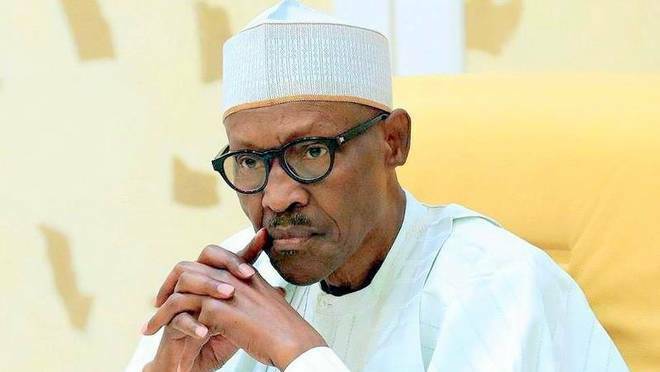 Meanwhile, a chieftain of the All Progressives Congress (APC) in Kwara State, Tayo Awodiji, a senatorial aspirant said the comment against Buhari is disrespect and demanded a retraction of the statement from Trump, citing international sovereignty and the age-long relationship between the two countries. President Trump will welcome Kenya’s Uhuru Kenyatta to the White House on Monday in the second one-on-one meeting the U.S. President has held with an African leader since he took office last year,” the report stated.